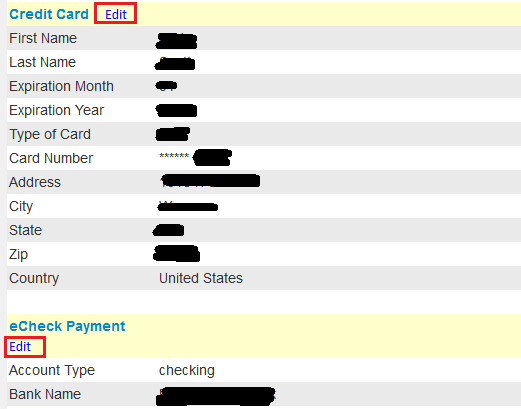 How do I update my credit card or eCheck payment information? Step 2) Click on 'My Profile' on the left-side menu. Step 3) Scroll to the bottom and click on the 'Edit' link next to Credit Card or eCheck (depending on which you wish to update). 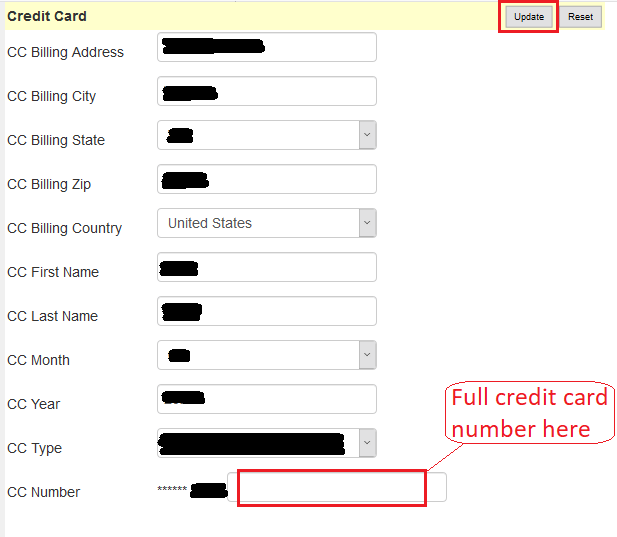 Step 4) For Credit Card - Fill out your credit card information. When finished click on the 'Update' button near the top. 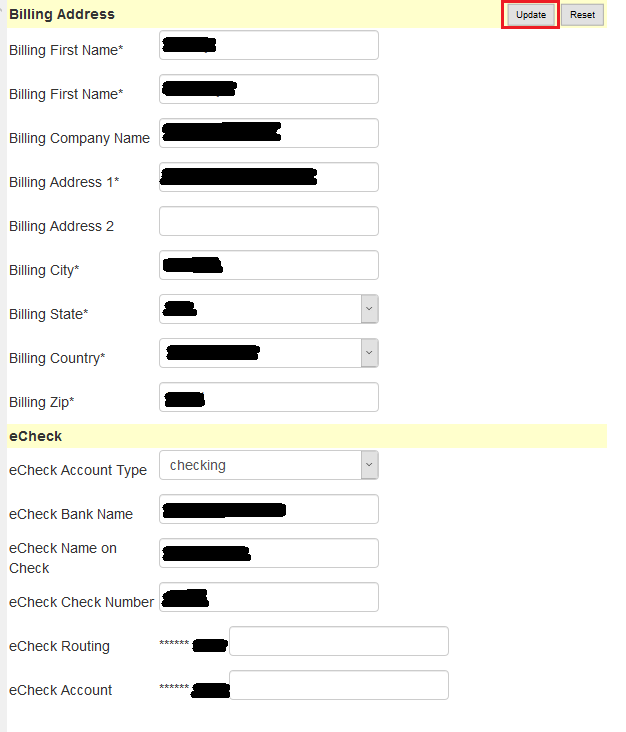 Step 5) For eCheck - Fill out the eCheck information. Information for routing and account numbers can be found on your checks. When finished click on the 'Update' button near the top.